Marco Wopereis (The Netherlands) joined the World Vegetable Center as Director General in April 2016 and is based in Taiwan. An agronomist with a Doctorate in Tropical Agronomy from Wageningen University, The Netherlands, he has global expertise in agricultural science and management, and previously served as Deputy Director General and Director of Research for Development of the Africa Rice Center (AfricaRice) in Benin and as the Director of the Annual Crops Department of the French Agricultural Research Centre for International Development (CIRAD) in France. He also worked in different capacities for the International Fertilizer Development Center (IFDC) in Togo, the West Africa Rice Development Association (WARDA, now AfricaRice) in Senegal and Côte d’Ivoire and for the International Rice Research Institute in the Philippines. His specific strengths include fostering productive, action-oriented partnerships for efficient and effective research among international research institutes, national research systems, the private sector and community organizations. 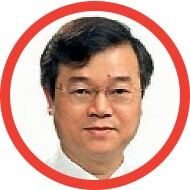 Yin-fu Chang (Taiwan) joined the Center as Deputy Director General for Administration and Services in 2005. Trained as an entomologist with expertise in IPM and biological control, he was formerly Assistant Professor at the Institute of Tropical Agriculture & International Cooperation, National Pingtung University of Science & Technology in Taiwan. He also served with the Council of Agriculture and the Taiwan Mission in the USA as Agricultural Attaché where he was actively involved in international agricultural trade negotiations and developing agricultural science cooperative programs. In addition to his administration and services he is also responsible for host country liaison. He has a PhD in entomology from Cornell University. David W. Johnson (United States of America) joined the Center as Deputy Director General – Research in January 2017. He is an agronomist and plant geneticist by training, with over two decades of experience in plant breeding, variety development and farming systems. Most recently, he served as the Director of Research and Plant Breeder at Cal West Seeds, an affiliate of Dow AgroSciences, leading the clover and alfalfa breeding program. He also served as a member of the USDA Advisory Committee on Biotechnology and 21st Century Agriculture. David is based at WorldVeg Headquarters. Nagaraj Inukonda (India) joined the World Vegetable Center in 2009. He is the Director of Human Resources, Management Advisor to the Director General and gender focal point. He has expertise in a range of organizational management areas, including strategy and policy development, resource management, organizational behavior and organizational performance. He holds a Ph.D. from the Indian Institute of Technology (IIT) in the area of organization strategy and performance and has undergone specialized training from Harvard Business School, USA in Social Enterprise Management. He is a certified trainer in Emotional Intelligence (TalentSmart, USA) and Workplace Diversity (SHRM, USA). Prior to joining the social sector in 2001 at ICRISAT, he worked in management functions in the corporate sector (energy and chemicals) for over two decades. His research interests are in the areas of organizational performance, positive behavior, gender and diversity. 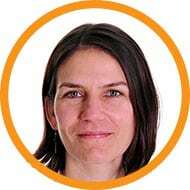 Maureen Mecozzi (USA) is Director of Communications. She develops the Center’s communication strategy; conceives and executes promotional campaigns integrating print, video, web, social media, and mobile platforms; guides and supports management and staff on communications issues; coordinates media relations; provides editorial oversight for research papers and extension materials; and manages the distribution of knowledge through the Center’s online portals. Prior to joining WorldVeg she owned Blue Pencil Media, a studio based in Singapore offering media services to companies, educational institutions, and individuals. She has an MSc in Sustainable Agriculture and Rural Development from Imperial College, London UK. 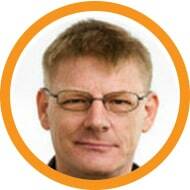 Dirk Overweg (The Netherlands) is Director of Finance. He is a commercial engineer with a doctorate in Applied Economic Sciences from KU Leuven, Belgium. He has more than 20 years of experience in financial management, IT and administration, and has worked in several countries in Africa and Asia. Prior to joining AVRDC in 2013, Dirk was Regional Finance Manager-Asia for Belgian Technical Cooperation based in Hanoi, and Chief, Finance & Administration for the Mekong River Commission in Lao PDR. He has also served as an independent consultant in management control matters. Victor Afari-Sefa (Ghana) was appointed as Regional Director for West and Central Africa – Coastal and Humid Regions in April 2017. He has extensive experience in performance monitoring and impact assessment of horticultural value chains on smallholder livelihoods. His research focuses on assessing opportunities and challenges in vegetable production systems, analyzing constraints in the value chain, and policy in interdisciplinary context. 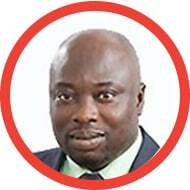 Prior to joining the Center in 2010, he worked as the Monitoring, Evaluation (M&E) and Impact Specialist for the International Institute of Tropical Agriculture in Ghana, where he implemented the M&E framework of the Sustainable Tree Crops Program. He also has international experience in integrated economic-biophysical optimization modeling of agricultural water use. Victor holds a PhD in Agricultural Economics from Justus-Liebig University Giessen, Germany. 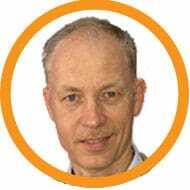 Ralph Roothaert (The Netherlands) is Officer-in-Charge for WorldVeg Eastern and Southern Africa. 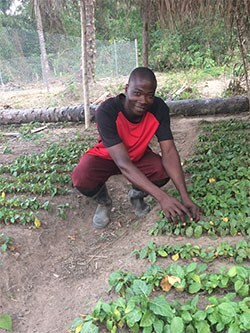 As the Flagship Program Leader for Healthy Diets, he aims to understand how best vegetable production can result in diverse and healthy diets. 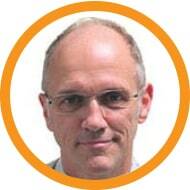 He is also the Global Coordinator for Rural Household Gardens, aiming to combat malnutrition for vulnerable groups. Ralph has worked in Africa for 21 years and in Southeast Asia for 3 years. He started as a development worker with the Voluntary Service Overseas in Nigeria, then worked as an agricultural scientist with the CGIAR for 13 years (ICRAF in Kenya, CIAT in the Philippines, and ILRI in Ethiopia). After that, he became Fund Manager of the Maendeleo Agricultural Technology Fund of Farm Africa in Kenya, Tanzania, and Uganda, where he managed many different consortia of partner organizations, each of them focusing on the development of a particular agricultural value chain. He then joined Oxfam GB in Tanzania, where he coordinated the Economic Justice Programme, facilitating partnerships in the agricultural sector using gender market mapping approaches. 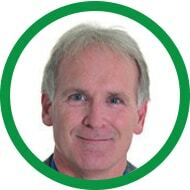 Prior to joining WorldVeg he was the Associate Country Director for Oxfam GB in Tanzania. Mamadou Kabirou Ndiaye (Mali) joined WorldVeg as Regional Director for West and Central Africa – Dry Regions in Bamako, Mali in February 2017. He is an agronomist with extensive experience in irrigated systems and crop diversification. Previously he served as the Regional Representative – Sahel for AfricaRice, and has held posts with IFDC and the Institute of Rural Economy (IER) in Mali. 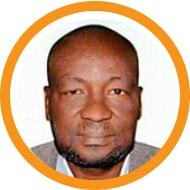 Dr. Ndiaye holds a PhD in Agricultural Sciences from the National Polytechnic Institute, Toulouse / École Nationale Supérieure Agronomique de Toulouse, France. 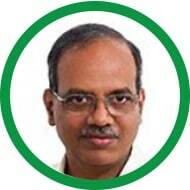 Srinivasan Ramasamy (India) is the acting Regional Director for South Asia in Hyderabad, India and Lead Entomologist and Flagship Leader — Safe and Sustainable Value Chains. He received a PhD in Agricultural Entomology from Tamil Nadu Agricultural University, India / Asian Vegetable Research and Development Center, Taiwan in 2003. Since 2005 he has served as Head of the Entomology Group at the World Vegetable Center. His professional interests include host-plant resistance, chemical ecology of insect pests, biological control, and molecular entomology. 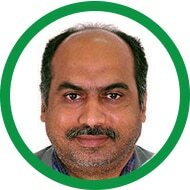 Dr. Srinivasan is an active member in professional societies / networks such as Royal Entomological Society, Society for Invertebrate Pathology, Entomological Society of America, International Association for the Plant Protection Sciences, New York Academy of Sciences, and International Society of Chemical Ecology. He has more than 125 peer-reviewed journal publications and book chapters, three field guides and three Conference Proceedings to his credit. Delphine Larrousse (France) joined the Center in January 2019 as Regional Director for East and Southeast Asia, based in Bangkok, Thailand. She previously served as a Senior Program Officer in Agriculture and Food Security at Canada’s International Development Research Center (IDRC), with a leadership role in research uptake and knowledge management. Her expertise in international development is founded on 15 years of experience designing, managing, monitoring, and evaluating projects globally. 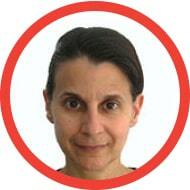 She has lived in 10 countries, and led research and development projects in over 15 countries. Her specific strengths include communication across cultures, disciplines, and sectors, coordinating large multidisciplinary research teams and fostering partnerships. Through a broad range of strategic communications and knowledge sharing methods, Delphine’s professional interest is to contribute to maximizing the benefits of research and development initiatives to positively impact people’s lives. She holds a Masters of Arts (MA) in Intercultural Communication from Anglia Ruskin University, Cambridge, England, and is fluent in five languages.